Come and enjoy the peace and tranquillity here at Mammy & Pappy's. We hope you will. 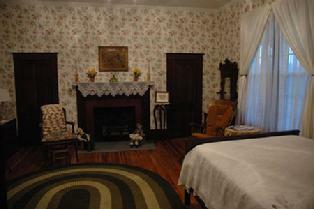 Our Rates are: $95.00 per room for the first night plus all applicable taxes. Additional nights at $80.00 per room plus applicable taxes. This includes a full country breakfast with homemade biscuits, and an evening snack. This rate is based on 1 -2 Adults per room occupancy. Additional meals can be prepared upon prior request for additional charge. If you have any special requests, please ask us. We'll see what we can do.